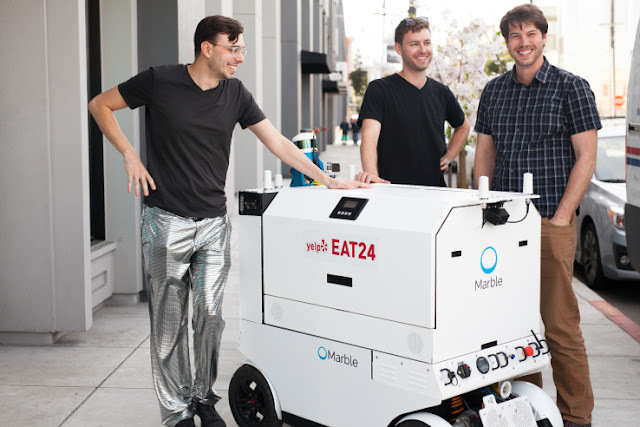 San Francisco-based startup Marble is bringing new meaning to getting your food to go. 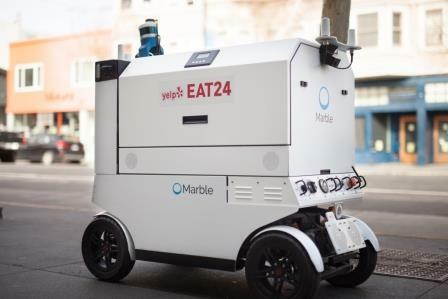 The maker of autonomous ground-delivery robots is now serving up dishes in San Francisco’s Mission and Potrero Hill districts with its first delivery partner, Yelp Eat24. Customers place their orders using the Yelp Eat24 app. For a lucky few, a robot will deliver their meal right to their door.